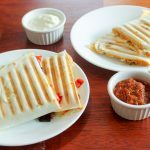 Freezer Steak or Chicken Quesadillas are a great way to spend a little time cooking a big batch of food for easy lunches and suppers. 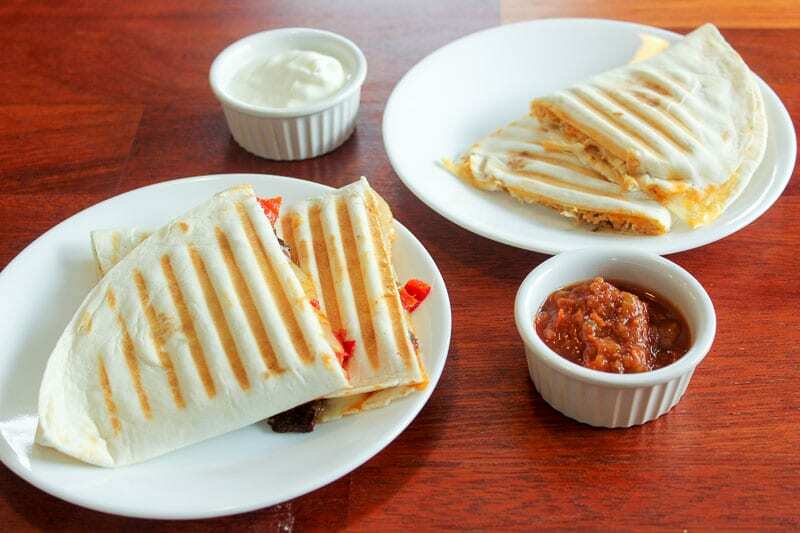 You can completely customize these quesadillas to suit your taste. They freeze well and reheat in no time! A few times a year I do a bunch of extra cooking to stash easy meals in our freezer. 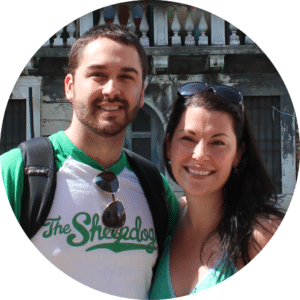 I find it super helpful to have healthy meals we can pull out for lunches or suppers, and it keeps us from wasting money on unhealthy junk just because it’s easy and we’re tired. This year I made a batch of a dozen steak quesadillas and a dozen chicken quesadillas and I’ve really enjoyed grabbing a couple for a quick lunch. Next time I’ll make even more of them. I cooked a turkey (so I guess they’re technically turkey quesadillas!) and took all the meat off it to use for a bunch of different recipes, which is a great thing to consider if you’re planning to do a lot of freezer cooking over a couple of days. Around holidays like Christmas and Easter you can often pick up a turkey for .99 cents/pound and store it in your freezer until you’re ready to do your cooking. Steak probably doesn’t sound like a budget ingredient, but I actually used deer steak to make these quesadillas, and it was given to us for free. It doesn’t get much more budget than that! 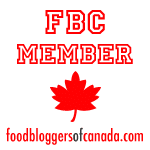 I enjoy deer meat, and am happy to eat it as a healthy, cheap, clean meat source. 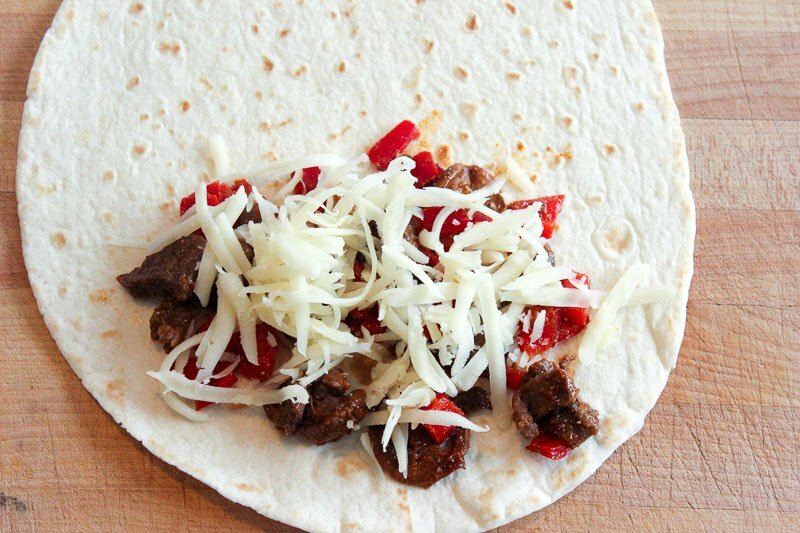 But if you’re not crazy about the taste and are wondering what to do with that package of deer steak you have in the back of you freezer, these quesadillas are a great option because the fajita seasoning is pretty dominant. You can also pick up small cheap steaks that aren’t the best cut for eating as a whole steak but work fine for dishes like this when you cut them thinly against the grain. One note: this is not a recipe as much as it is a guide. This type of cooking is very flexible. Many people would only use peppers and onions as vegetables, but I had a package of mushrooms I wanted to use up, so I threw them in. 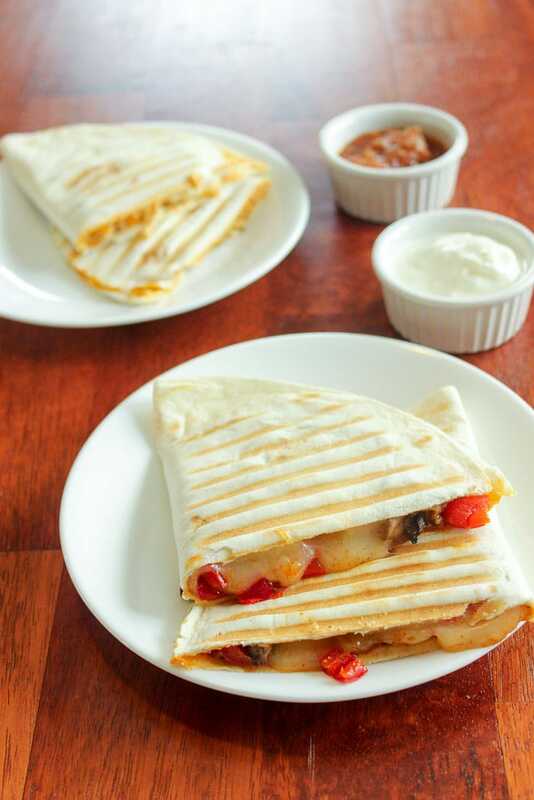 You can add more or less vegetables to suit your own personal taste and stuff your quesadillas more or less full to suit what you think you’ll be looking for at meal times. I find this is a great way to stretch a little bit of meat with a lot of veggies. Make up a big batch of whatever filling you want to use. You can pretty much customize them however you like! For the steak quesadilla filling, I fried up thinly sliced deer meat (sliced against the grain), lots of peppers, onions and mushrooms. Add 1/4 cup of water and 2 tablespoons of fajita seasoning mix. If you’re making a large batch, double this. Stir and cook to combine and taste to see if you would like more seasoning. Cook until most of the moisture has evaporated. For the chicken quesadillas (actually they were turkey), I decided to keep things fairly simple in case anyone was not a fan of peppers and onions. I just used turkey and cheese, but I found them a little boring. Next time I would definitely use at least peppers and cheese. 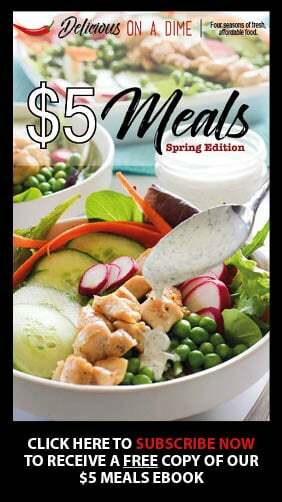 Any excuse to get extra vegetables into our meals! 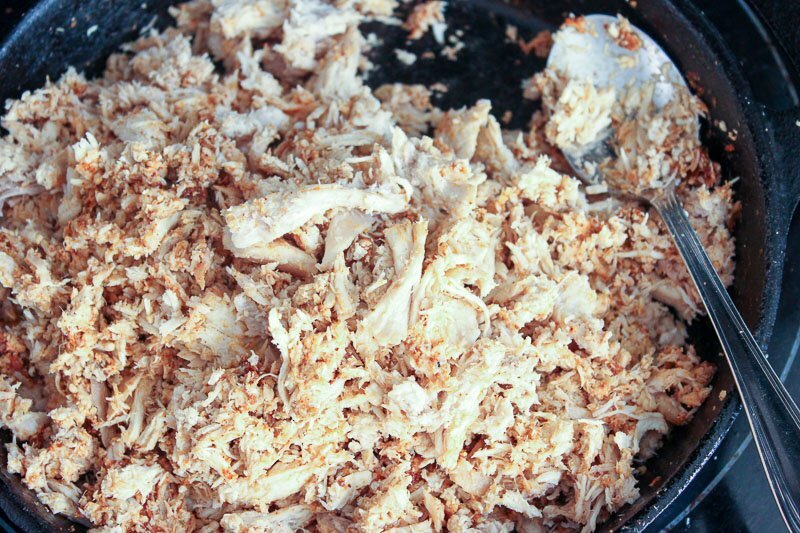 Cook shredded or sliced chicken or turkey with 1/4 cup of water and 2 tablespoons of fajita seasoning. Taste and double water and spices if it seems not flavourful enough. Cook until most of the moisture has evaporated. If you’re making a big batch for the freezer, assemble them all before you start cooking them. I find it easiest to make them on one tortilla that you fold in half. Stuff them with your chosen filling and shredded cheese. I used a mix of cheddar and mozzarella cheese. Line them up to await their fate. I made a dozen of each this time but I would do even more next time. 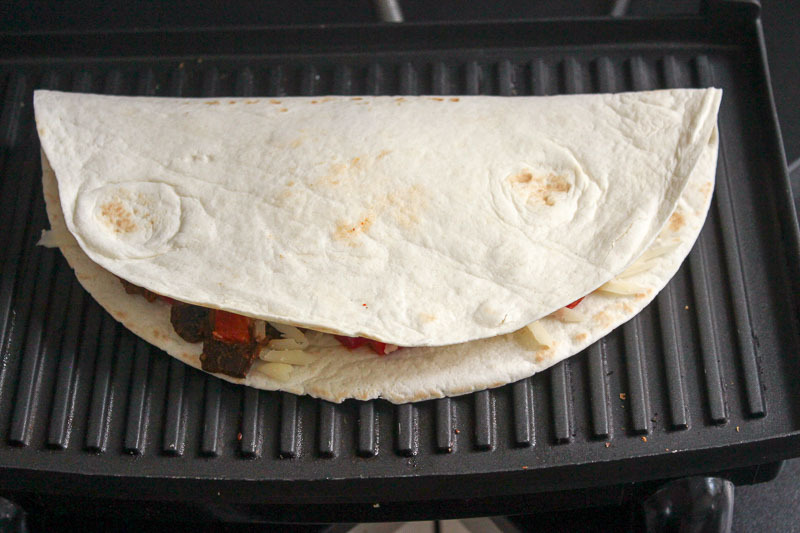 I find that the easiest and fastest way, by far, to cook quesadillas is on a panini press. I got one as a gift many years ago and we use still use it all the time. If you don’t own one, you can fry your quesadillas in a dry frying pan (if you like them soft) or an oiled frying pan (if you like them crispy) over low heat, flipping carefully half way though. I’ve read that you can also cook them in the oven, but to be honest I’ve never tried it! If you’re planning to freeze them, let them cool completely and then wrap them individually in plastic wrap like saran wrap and store in a large zip-top bag. You can thaw them in the microwave, oven or at room temperature. Then warm them and serve with salsa, sour cream (or plain yogurt, in our case! ), and mashed avocado/guacamole. 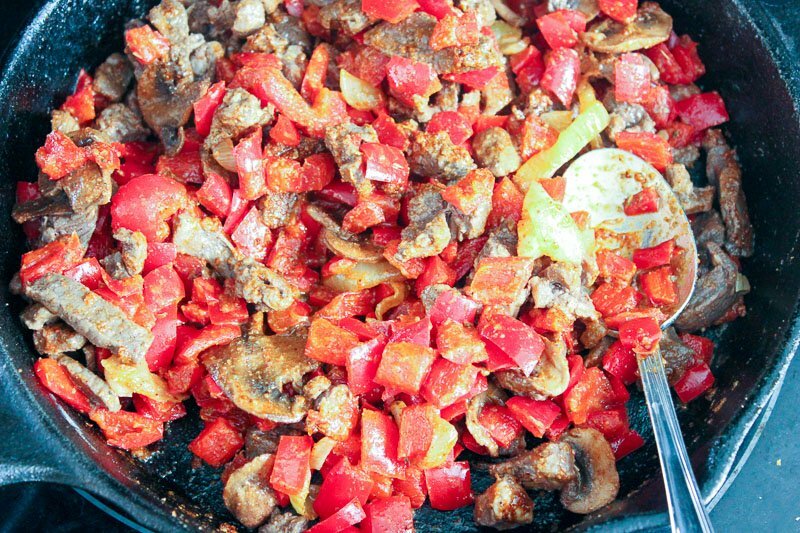 I fried up thinly sliced deer meat (sliced against the grain), lots of peppers, onions and mushrooms. Add 1/4 cup of water and 2 tablespoons of fajita seasoning mix*. If you're making a large batch, double this. Stir and cook to combine and taste to see if you would like more seasoning. Cook until most of the moisture has evaporated. Fry chicken with vegetables of your choice (peppers, onions, etc) or none at all, if you'd prefer. Add 1/4 cup of water and 2 tablespoons of fajita seasoning*. Taste and double water and spices if it seems not flavourful enough. Cook until most of the moisture has evaporated. If you're making a big batch for the freezer, assemble them all before you start cooking them. 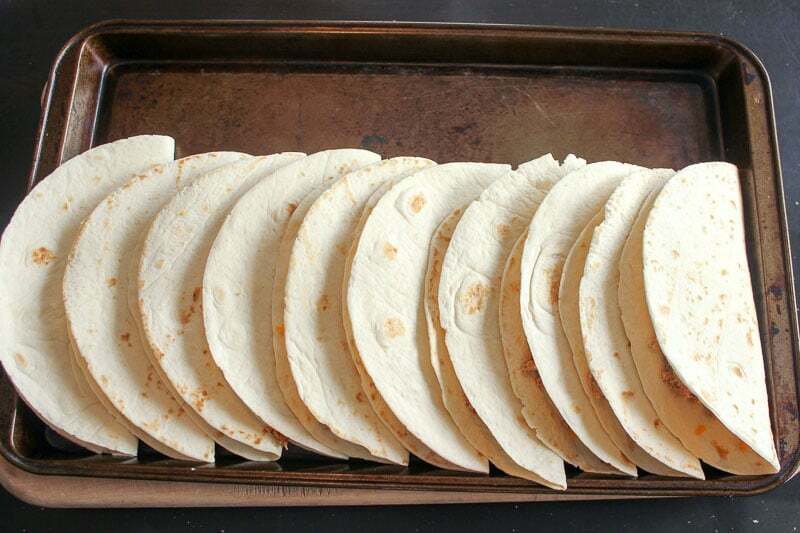 I find it easiest to make them on one tortilla that you fold in half (see photo below for an example). 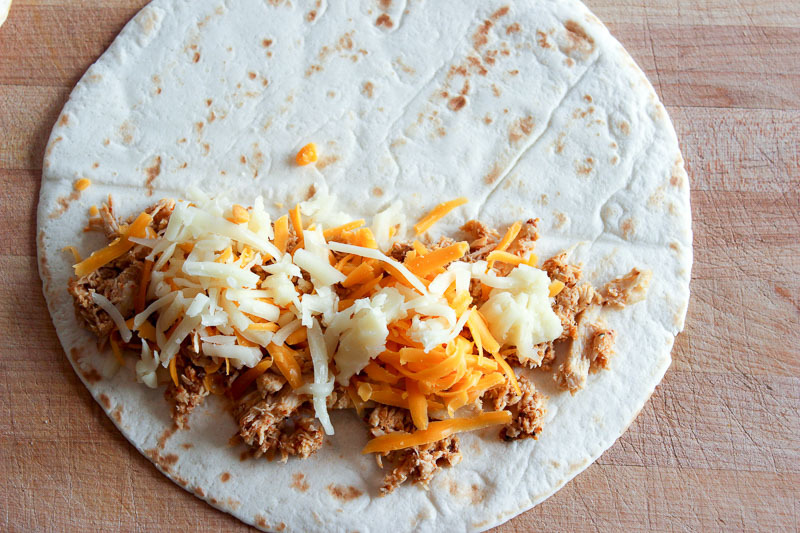 Stuff them with your chosen filling and shredded cheese. I find that the easiest and fastest way, by far, to cook quesadillas is on a panini press. If you don't own one, you can fry your quesadillas in a dry frying pan (if you like them soft) or an oiled frying pan (if you like them crispy) over low heat, flipping carefully half way though. I've read that you can also cook them in the oven, but to be honest I've never tried it! * You can easily make homemade fajita seasoning, or you can use a store-bought packet. 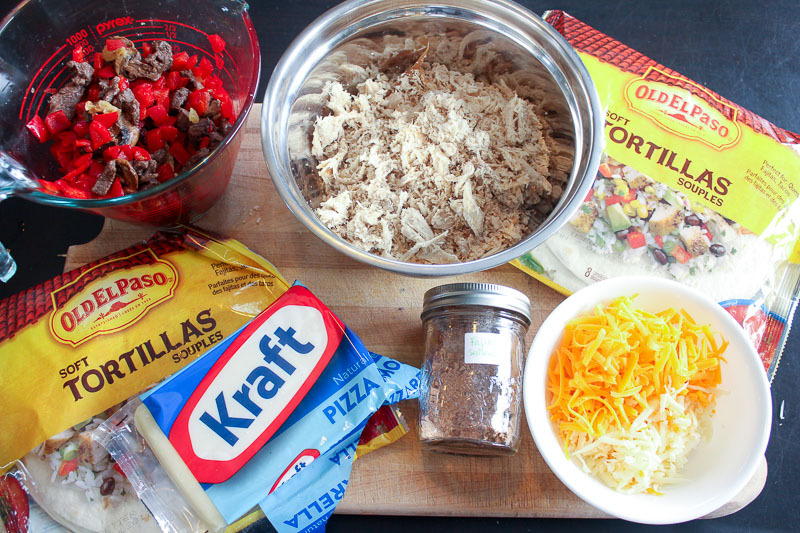 Do you make your own fajita mix Myra ? Yummy recipe! Freezer steak chicken quesadillas made me crazy when I went to my relatives and she cooked it which was very fantastic. I think that this is possible to make very easily. 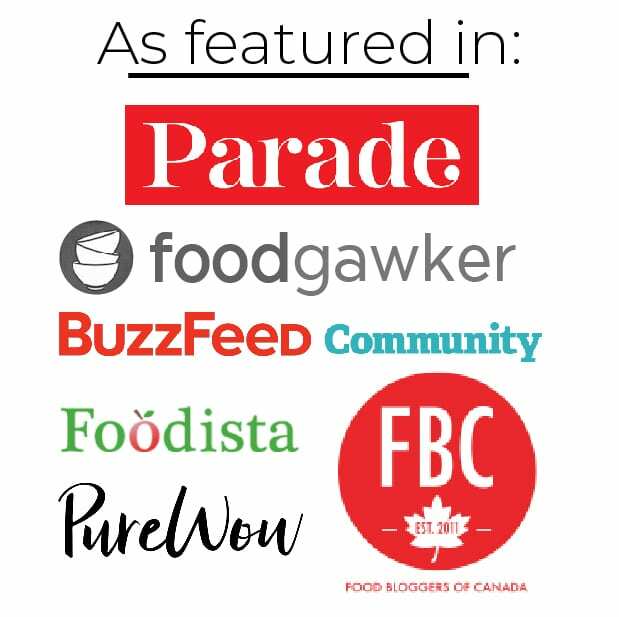 Even your post is really helpful because you have shared ingredients and instructions. That’s why anybody can cook it to read this post. I am very happy to visit here.